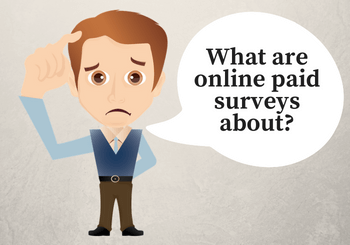 So what are online paid surveys about, and are they worth participating in? 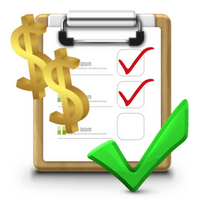 Before joining a paid survey site, it is good to know how it works, and what you can expect. The very short answer is that online paid surveys are about you answering surveys and giving your opinion, and in return for this information, you will get either cash, gifts or vouchers. I will explain more about this below and answer the most frequently asked questions that many people have about paid survey sites. How can it be possible to get paid from surveys? Companies are always interested in the opinions of consumers. Information about what people like, what they don’t like, what they think about certain products etc. can be very useful to improve products or services or to develop new ones. Therefore, companies are willing to pay you to evaluate products or services by taking surveys. It can, for example, be surveys where you evaluate a new commercial, a certain service, new ideas etc. It can also be surveys from institutes that are doing research about politics, current affairs, health, etc. that are used for news media, political decisions and more. So the reason you can get paid to take survey is that the information is valuable for companies, and they are willing to pay for this information by giving rewards to people giving them feedback. In addition to making some extra money, there can also be other reasons to participate in online surveys. It is a way to make your opinion heard and a chance to influence decision makers. Information that is gathered in surveys is often used by news media, and is thereby a part of influencing the societal debate – it can be on topics like politics, laws, politicians, banks, companies, and many more. Furthermore, your input can help companies and organization develop and improve ideas, services, and products, so it is a great way to be a part of shaping the future. I myself find it quite interesting to participate and have the chance to have my opinions heard. Of course I must admit that not all surveys are that interesting, but if you find a survey you do not wish to participate in, you can also just stop. There is no commitment to do a certain amount of surveys or to participate in all the surveys offered. You can always decide for yourself which surveys you want to participate in, and when you want to do them. 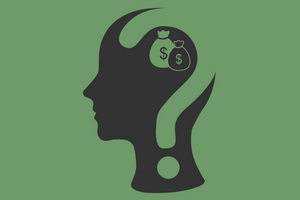 How much money can you make by taking surveys? This is often the big question for people who want to do paid online surveys. As mentioned above, there are also other reasons to participate, but for me, the money was also the main motivator, when I started. The other benefits, I did not realize until later. But back to the money question. I can however not give you an exact answer to this question. It depends on a number of different things. First of all, it depends on how many paid survey sites you are signing up for, which sites you sign up for, and how many of their surveys you participate in. Also, many survey sites offer other ways to earn than just paid surveys. If you use some of these other methods as well, it gives you a lot more chances of earning. I must, however, emphasize that this is not a way to get rich quick. But it is definitely possible to make enough for an extra holiday, to pay some expenses or debt, extra luxury, extra gifts for your loved ones or yourself, or whatever you would like. If a survey site promises that you can become rich with minimal effort by signing up for their site, it is most likely a scam. Often sites that promise this much money from surveys will also charge you a fee to get access to these surveys, and that is where the scam starts. If a site charges you to get access to their surveys, do NOT sign up. There are plenty of free and legit paid survey sites, so sign up for those instead. Can you make a full-time income from surveys? If what you want, is to make a full-time income from working online, that is not realistic with surveys – but it is definitely possible online. It probably won’t happen overnight, but with some effort and dedication, it can definitely happen. If this is what you want, you can check a post I wrote about how to make a full-time income online. 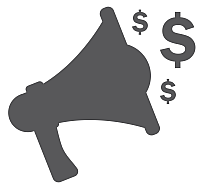 The advantage of paid surveys compared to others ways to make money online is that it is very easy to get started, anybody can do it, it is 100% free to get started, and you are sure to make a profit from day one. This makes paid surveys unique. So even though you cannot make a full-time income on them, they can be a great and easy way to make some nice extra money. If they are right for you, therefore, depends on your expectations and reasons to do them – these 11 keys to success with paid surveys, can help you decide,if it is right for you or not. How do you start getting paid from surveys? It is very easy to get started with paid surveys. Below, you can click the button to see the best survey sites in your country. To get the most chances of earning, you need to know which sites are the best, as there are many that are a waste of time as well. The best sites differ from country to country, so I have created these lists to help you get started easily and without wasting time on testing sites yourself. So all you need to do to get started is to click the button, choose your country, go over the list and choose the sites that sounds the most appealing to you. I recommend you to join several sites, as this will increase you opportunities. It usually only takes 1-2 minutes to join a site, and then you can start earning, so it is not a long process. If you want more information and guidance to get the most out of paid surveys, you can also sign up for my 5-day FREE email course, where you every day will get an email with tips and tricks to get the best start and be guided step-by-step. You can find the sign-up box below the button. If you have any questions or comments, please feel free to leave a comment below. Would be great to hear from you, and I will be happy to answer any questions. I know and have met a few people that claim to make a living from this, paid surveys. i will let my friends know about this site and offer it as help to those i know. all the help we can get, right. Glad you like the information and thanks for sharing the site with your friends. I appreciate it. These survey sites are kind of hit and miss aren’t they?! I’ve done a bit of ‘surveying’ in my time and some have proven quite lucrative but (and you’re so right) they’re not some get rich quick scheme. I was once chosen to provide feedback about a major car website and received 20 euros for doing it. 15 minutes work – not too shabby. I’d agree with you though. Do your homework before committing to anything. Keep up the good work sir! Over the last few months I have been trying to make money online by using paid survey sites. So far it has been a massive failure and a big waste of time. How can I ensure that I am going to make money from taking a survey before I dive into it so I do not waste my time? Also what are the best paid survey sites? Yes unfortunately there are also many survey sites, that does not work very well. Depending on the survey site, you will risk that sometimes you start a survey, that you will then be told you do not qualify anyway. It is annoying but unfortunately, it happens on most sites. But on some more than others, and there are also some sites that I have chosen not to use any more because of this. You can have a look around my page and look at some of the reviews. Here I write a few tips and advice to the separate sites, and how to make the most out of them and what to be aware of. This you can use to see what sites seems most appealing to you. I have made a list with my top survey sites. These are the ones that I have had the best results with. If you decide to join any of them, I will suggest to read the advice I have in the reviews as well. But also an important aspect is how much money you expect to make. Because if you find the right survey sites, you will definitely be able to make some nice extra pocket money, but it will not make you a full time income. I mention this, as it is important not to expect this when doing surveys, because then it will be disencouraging and feel like you are not succeeding. Hope this can help you to find the right sites, so you can start making some money on surveys. If you have any other questions, just let me know. Thanks for your comment Sean. I have also had mixed results with paid survey sites – that is why I have ended up testing so many and then now trying to make it easier to others to find the sites that are worth it. But good to hear that you also had a good experience. Yes some sites have a high payment threshold, but depending on the site, it can be worth to just keep going and then you will get that payout, which can be very nice:-) But some sites are definitely also not worth the effort. I mention in my reviews what the payment threshold is on the different sites, so if you want to join sites where it is not so high, there is also several of these. Thanks for sharing this post on online surveys with me, i thoroughly enjoyed reading it! I myself run my own survey site where i explain how to make money through completing surveys on the internet. I defiantly think its possible to make a good amount of income from doing so.